Peoria County coroner Dan Heinz inspects the body of a man who shot two people at a Galesburg business, then shot himself after a lengthy car chase. 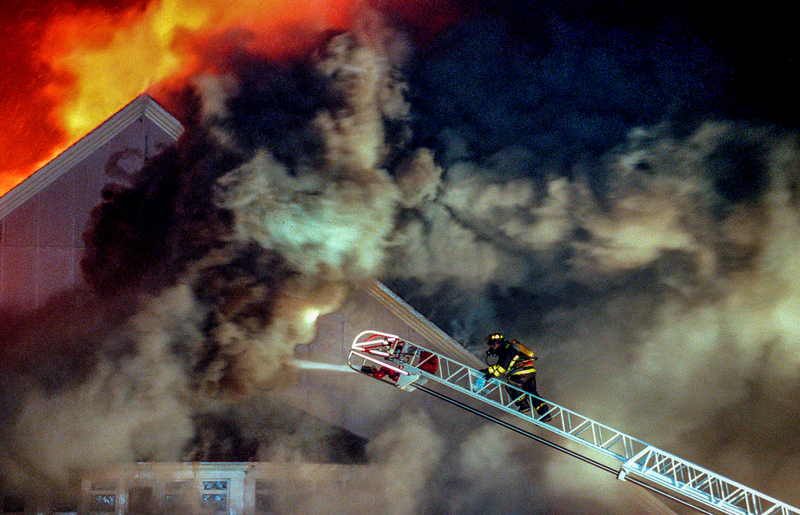 A Peoria firefighter cautiously makes his way up a ladder as flames shoot from the roof of the First Presbyterian Church in downtown Peoria. 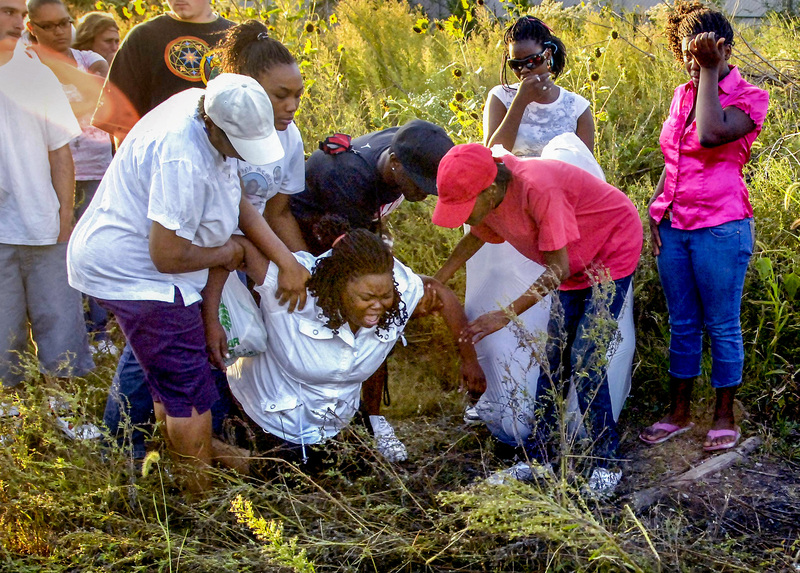 Carroll Faulkner, girlfriend of Harvey Powell Jr., falls to her knees in despair at the site where Powell’s burning body was found in a vacant lot in Peoria. 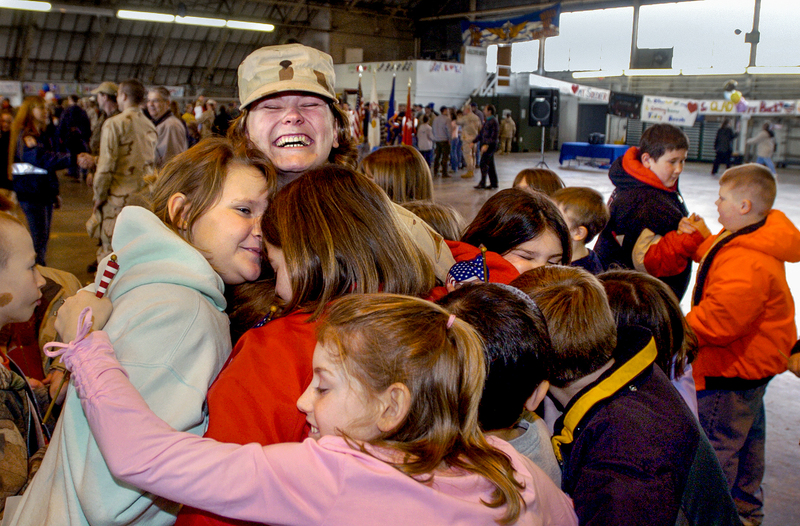 Fourth-graders hug student teacher Erika Grubaugh after a ceremony for returning soldiers at the Bartonville Illinois Army National Guard base. 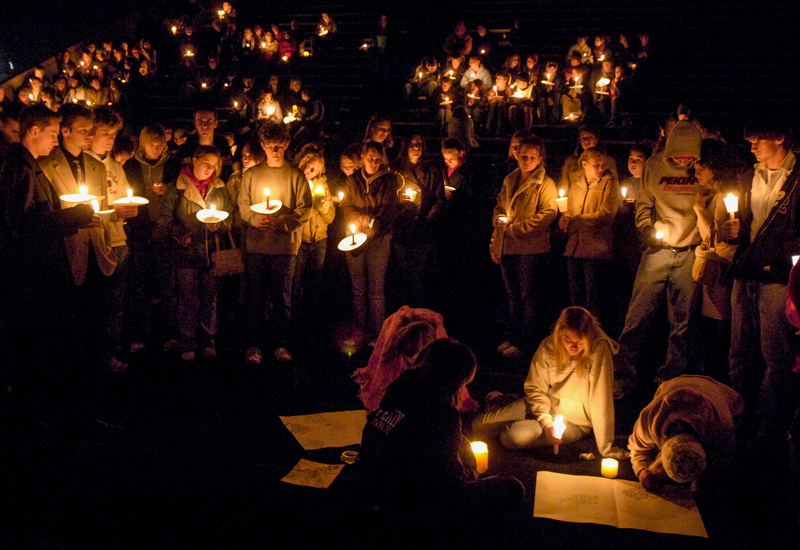 Pekin High School students gather on the football field for a candlelight vigil in memory of Hanna Holder, 17, who died earlier that morning at school. 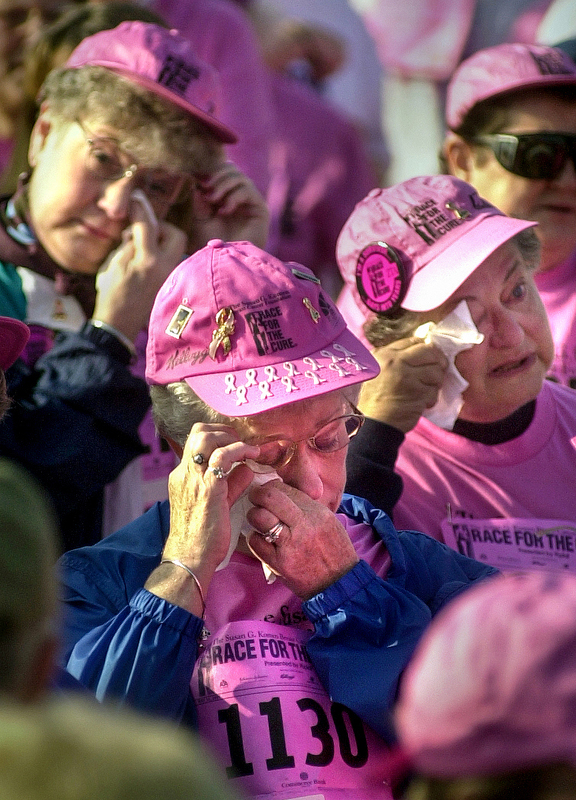 Breast cancer survivors wipe away tears during the annual Komen Peoria Race for the Cure. 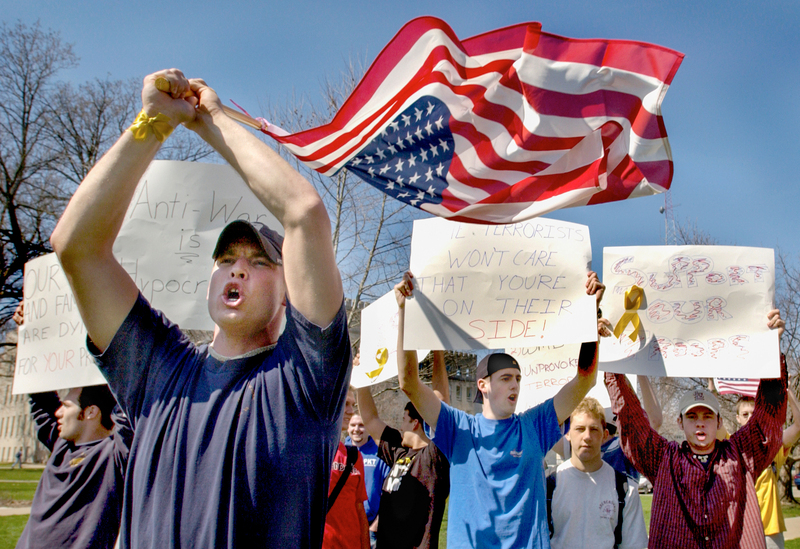 Bradley University sophomore Patrick Banker waves the American flag during a counter protest against anti-war demonstrators on campus. 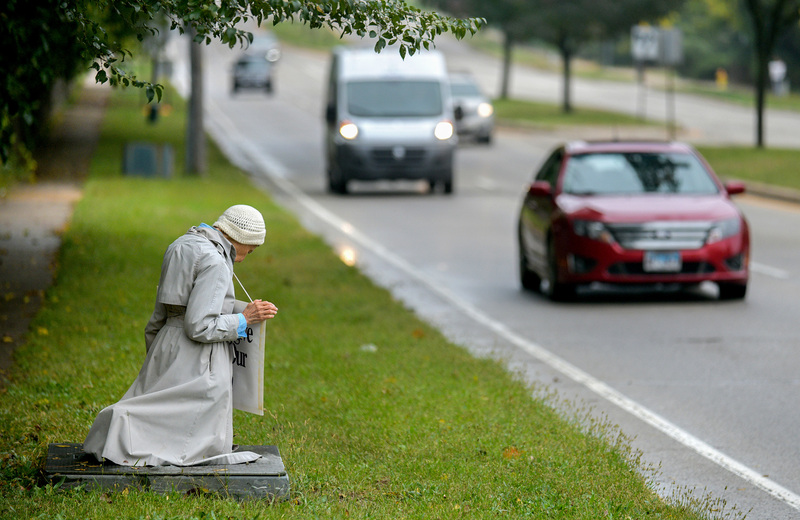 Sister Mary Jo Yutt of the Immaculate Conception Convent kneels in prayer and protest during the National Life Chain pro-life event in Peoria.